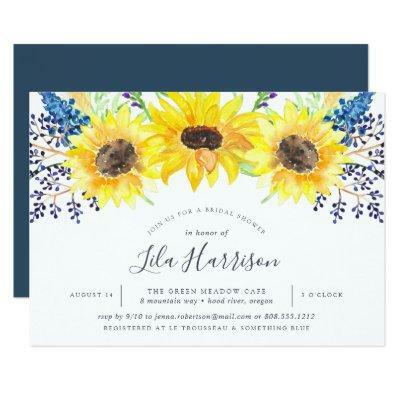 Country chic floral bridal shower invitation features a top border of watercolor sunflowers, tiny navy blue buds, and green foliage. Personalize with your bridal shower details in modern hand lettered script and traditional serif lettering. Bridal shower invitations reverse to rich harbor blue.